Samsung announced Samsung Galaxy Tab S3 at MWC 2017 yesterday. 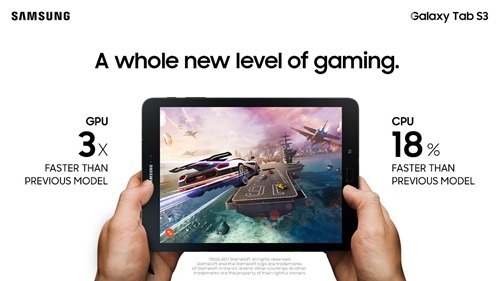 Samsung Galaxy Tab S3 is coming with a 9.7 inch QXGA sAMOLED display and Snapdragon 820 processor,Samsung claims the GPU of the new device is 3 times faster and the CPU is 18% faster than the previous model . It have 32Gb of internal storage space and 4GB of RAM and will be running on Android N operating System. You can play HDR videos on this device, the Samsung website says “HDR video playback is available only for videos streamed via the Amazon app”. 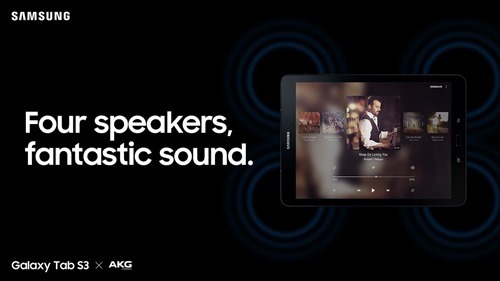 Samsung Galaxy Tab S3 have four auto rotate speakers which will rotate based on how you hold the device. The device is having a 6000mAh battery supporting fast charging, which can offer 12 Hours of video playback. Tab S3 will have a 13 Megapixel camera with LED flash at Rear which supports 4K video recording and a 5MegaPixel camera at the front end. The tablet comes with a SPen with 0.7mm pen tip and 4096 pressure sensor level. 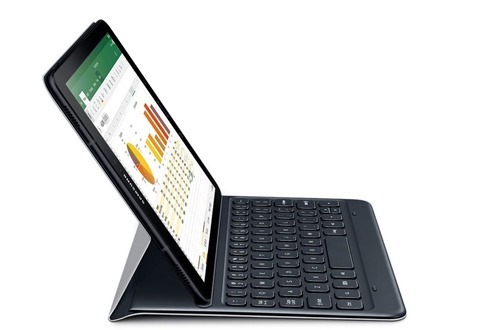 On the accessories section you can buy an optional keyboard which can help you to type faster and also work as a stand for the tablet. Available in two colors black and silver. Samsung announced new Samsung Galaxy Tab S3 at MWC 2017.